Centaurea melitensis (Malta starthistle, tocalote) is a bushy annual (family Asteraceae) found throughout most of California and in many other western states. Malta starthistle prefers disturbed and open areas, including grasslands, open woodlands, agricultural fields and roadsides. It is most invasive in California’s central western and southwestern regions. 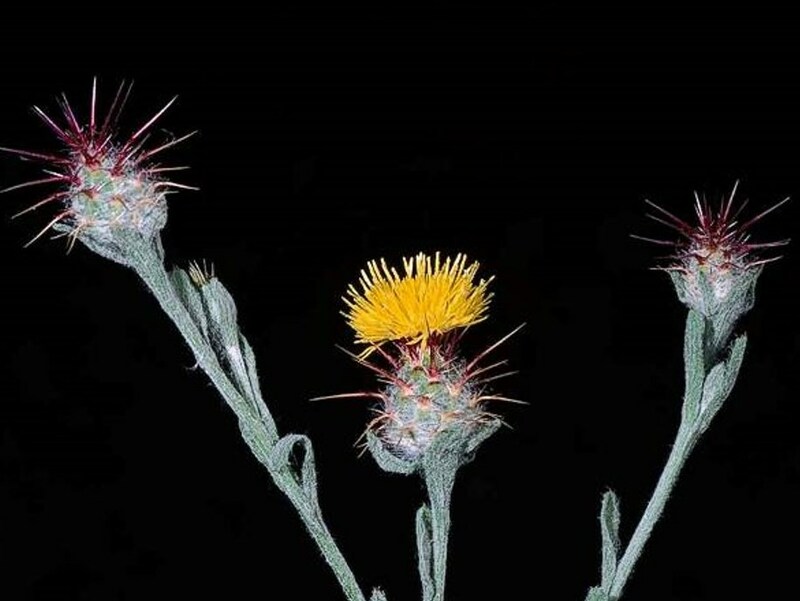 While Malta starthistle is less invasive than yellow starthistle (Centaurea solstitialis), but it still spreads quickly by producing great quantities of seed if given the proper conditions. Insects such as the false peacock fly (Chaetorellia succinea) and hairy weevil (Eustenopus villosus) have been used as biological controls with some success.